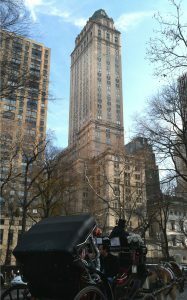 AK Architect provided full architectural services for the facade restoration of this historic New York City Landmark. The project involves masonry, limestone, terra-cotta and steel restoration. Working closely with the NYC Landmark Preservation Commission, the firm was able to preserve this historic structure for future generations. Copyright © 2017 A K Architect PC. All Rights Reserved.